As an avid Twitter user, I am always delighted to discover the latest viral post making the rounds under the hashtag #RepresentationMatters. Clicking on this phrase links to a treasure trove of tweets centering–and celebrating–marginalized people in spaces where they have typically been excluded. Noteworthy examples include former White House photographer Pete Souza’s iconic photo of a young Black child curiously feeling President Obama’s head after wondering if they shared the same hair texture, or NPR host Arsalan Iftikhar’s friend’s parents’ reenacting Sikh model Waris Ahluwalia’s GAP advertisement in their local mall. While recent films like Black Panther, Coco, and Crazy Rich Asians have been celebrated for their representation, the moments found in this hashtag are not insignificant. Not only do they subvert the collective imagination that deems whiteness, heteronormativity, and ability as “normal,” but they also repudiate the narrative that marginalized people only exist under the crushing weight of their oppression. These messages are powerful and subversive, because they demonstrate what we already know to be true: marginalized people contain multitudes. Just as we experience struggle, we also cultivate creativity, wonder, humor, and joy. More simply put, we exist. I think about this phenomenon often, especially in the realm of theological education. As someone who was raised Catholic, spent many years as part of a community that fluctuates between its Evangélica roots and the U.S. Evangelicalism that influences it, and was educated in an institution of higher theological education grounded in mainline Protestantism, I am aware that theologies held by white, Western, and cis-straight men from within one’s own tradition are regarded as edifying for the entire body of Christ, while those written by people outside of these parameters are deemed peripheral (at best) or inconsequential (at worst). I internalized this imbalance early on in my seminary career, believing that I had an inordinate amount to learn from my colleagues, but very little worth contributing to their own education. 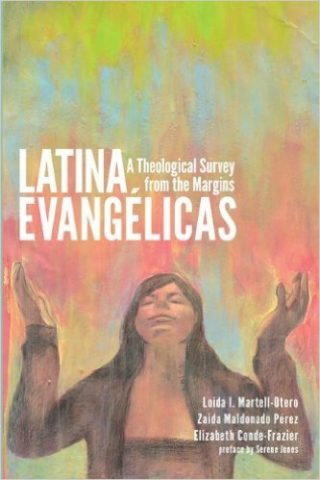 It was around this time when I first encountered Latina Evangélicas: A Theological Survey from the Margins. In its pages, I was amazed to find (as Dr. Carmen Nanko-Fernández calls them in her forthcoming essay) “Tía-logians,” who named the theological foundations that empowered and sustained women in my family, my church, and me in the face of unjust and patriarchal systems of oppression. In addition, these scholars addressed their audience with cariño1 situating us within a lineage of women who practiced resistance, resilience and joy, and encouraged us to reclaim our theological agency with coraje.2 Shortly afterwards, I was invited to join a local reading and writing group, led by Rev. Dr. Conde-Frazier and often featuring Rev. Dr. Martell. While its initial purpose was to read and discuss the book together, over the years since then, this group has morphed into a sacred gathering where we are free to share our experiences as women in ministry and in the academy, as well as the theological reflections that arise from these lived experiences. Nanko-Fernández writes about this communal methodology of theologizing, emphasizing that it is “…done latinamente, …[modeling] a preference for collaboration articulated as the doing of teología en conjunto with a product that is of the communal effort or de conjunto.” Like the other essayists in this symposium, she models this process by incorporating insights from other Latin@́ theologians, as well as interlocutors, such as popular music and dance, in order to engage with the authors’ description of the Holy Spirit (or as they call her, “the ‘wild child’ of the Trinity”). In her essay, the Rev. Jennifer Gillan explores the authors’ emphases on communal theological formation and pneumatology, taking comfort in the Holy Spirit’s role as comforter who is presente in the face of the compounding oppressions that her community faces. She notes that she, “…witnessed weary, sometimes defeated, undocumented immigrant women find meaning, purpose, and their fundamental worthiness in the close presence of God…” Although there are significant differences between her mostly Central and South American church’s eschatology and that of the Puerto Rican co-authors, she affirms that the commonalities that empower both evangélica communities are the same. Daniel José Camacho’s essay reflects on his experience finding solidarity with other Latinx seminarians because of their matriarchs’ shared evangélica faith. He refutes shallow dismissals of this faith as “escapist,” taking solace in its eschatological hope and its emphases on justice, particularly against colonialism. In light of the United States’ ongoing malfeasance after Hurricane María hit Puerto Rico just under a year ago, this point seems especially poignant. Many Latina evangélicas, including those in my own community, have, once again, had to rely on this hope in the face of our deep grief about the traumas our people have faced. All of the panelists and I come from slightly different backgrounds, yet the breadth of engagement with the books proves that Latina Evangélicas does not merely serve as a reader, but also as a marker. It powerfully captures the multitudes from which we respond to oppression, and from which we also draw our strength, creativity, wonder, humor, and joy. It demonstrates that we do exist, and have much to contribute to the task of téologîa en conjunto in our day and age. For all of us, Latina Evangélicas is a testimony of reclaiming theological authority when others have denied it, a celebration of our existence, and an invitation for others to do the same. I am honored to engage this dialogue with my colegas in theological education and Latina/o theology, Loida Martell-Otero, Zaida Maldonado Perez and Elizabeth Conde-Frazier about their very important work, Latina Evangélicas: A Theological Survey from the Margins. This book contains a creative and impactful set of reflections on the critical themes of traditional theology from the perspective of grassroots Latina Protestant women as recounted by these three skillful interpreters and theologians. Let me just say by way of full disclosure that in the 1970s, Elizabeth Conde-Frazier and I attended the same high school, Erasmus Hall, in Flatbush, Brooklyn. We weren’t close friends but acquaintances and cognizant, the few times that we did interact, of our similar faith experiences. 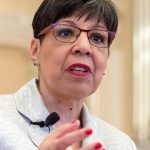 In the late 1980s, Loida Martell-Otero came to study at Andover Newton Theological School from Puerto Rico and soon she became a colleague at the Center for Urban Theological Education, doing her field internship with us. And in the mid-1990s, I first met Zaida Maldonado Pérez when she participated in the Hispanic Summer Program in Puerto Rico, as a PhD student from St. Louis University. I was on the faculty of HSP that summer and I remember Zaida as one of the participants who encouraged us all to take salsa lessons that another professor was offering for fun. So she has always been one to “dance in the Spirit,” one of the themes in her essays in this book! One might think that these decades of friendship and colleagueship might make one approach this assignment with fear and trembling: How can I offer an honest, no-holds-barred critique of this work, when I am so close to its authors? Well, I think the spirit of the volume speaks to this issue quite directly. It is not about debate, but dialogue. It is not about a zero-sum, winners and losers exchange, like often happens in academia, but engagement that transforms and advances the theological deepening and social transformation of the community, in particular the Latino/a community, but in fact all communities for whom shalom, soteria—salvation, liberation and deliverance from shame and discrimination, as described in this book—is vitally important. So I am pleased to be a part of the ongoing dialogue that this volume exemplifies and continues to bring to the table of theological discourse. I shall proceed with some brief comments about each of my colleague’s work in this volume. I will also have occasion to draw out some larger implications of the work, for me, and ask some questions for the conversation that will ensue in this Syndicate symposium. After an introduction, Latina Evangélicas begins with a chapter on the Holy Spirit, which contains reflections from all three authors, signaling the Trinitarian nature of the Godhead. Indeed, the authors argue that the Godhead is energized by Spirit and sometimes known best by the concrete, present-day action of the Spirit in our lives. Latinas, for example, as this book ably describes again and again, get up and get on with their work and ministry often despite difficult odds, but always inspired by the Spirit. Subversive action, reversal of the odds, is the purview of the “wild child” of the Trinity, argues Zaida Maldonado Perez. She also insists, and I agree, that naming Spirit as “she” is a viable and necessary choice for many because God, after all, is not gendered. Moreover, it is a choice that goes against the grain of naming God “he” and “father,” and other masculine denotations, because God transcends our human understanding, and misunderstanding, of God’s personhood. Elizabeth Conde-Frazier focuses her comments in the Spirit chapter on the gifts of the Spirit—the charisms—tongues, healing, prophecy, discernment, etc. She reminds us that these gifts are exercised by called persons, including women who see their function in the church beyond unjustly unavailable offices, but rather as responses to persons in need, especially the poor and the marginalized, who need to have their voices (“tongues”) heard when no one else will speak for them, who need a prophetic word to the social work office or the health clinic. Who will stand in for the needy, if not Spirit-filled, Spirit-led women of faith, moved by compassion and love, the ultimate gift that Paul writes about in his famous “gifts” chapters of 1 Corinthians 12 and 13? I will turn to further engagement with Conde-Frazier and her chapter on ekklesia, the church, but not without another comment and a question for Professor Maldonado Perez, who concludes the Spirit chapter with a discussion of the Spirit as the “Subversive One” who “goes native.” This means, for Maldonado Perez, that like the incarnation, Spirit manifests God in contextualized, concrete ways in everyday life. Like those at Pentecost (Acts 2) heard the message from God in “tongues of fire”—their very own, native language—Spirit reveals God’s “language” for us in direct, personal ways, but also communal ways. What must we do, Professor Maldonado Perez, I wonder, to keep Spirit alive in our day and age, when so much national discussion in the halls of power detaches itself from the needs of the poor, the oppressed, the immigrant and the sick? How does the faith stay “subversive” and “native,” when sometimes even the “faithful” turn to political power and wealth for answers instead of the Spirit of Justice that calls us to love no matter what? I found Elizabeth Conde-Frazier’s work on ekklesia in this volume profoundly moving and necessary for our dialogue about the nature of church in the twenty-first century. She is grounded in Scripture and also mindful of what we can lose today if the church does not aggressively move in search of new calls and gifts, rather than remain static in “this is the way we have always done things.” I often teach a course on Pastoral Readings of Paul’s Letters, a kind of introduction to Paul through the lens of church and ministry issues. I find again and again that the church at those earliest stages seemed so simple, so focused, albeit not without some serious problems, as we see throughout the Pauline corpus. Yet, there are some sine qua non elements that Paul and others in the New Testament espouse, as does Conde-Frazier in this book. No matter how complex the church gets, including the postmodern church, these must be part and parcel of its ministry, or else, I fear, we cannot call it a “Christian church.” It might be something else, but not a Christian church. Those basic elements include call, gifts and leadership of all types. We must stop blocking the way, as our Latina evangélicas remind us, for persons from all walks of life to exercise their God-given gifts, that is, their response to profound, divinely inspired vocational beings and self-identity. If we truly believe in the priesthood of all believers, why does the church block the diakonia of called persons, whether because of gender, socioeconomic status, immigration status, and the like? Conde-Frazier’s chapter on church reminds us that the church is a koinonia as Paul calls it—a community—a partnership, in which all serve and all celebrate. Speaking of celebration, Professor Loida Martell-Otero’s reflection on spirituality, based on the soteriology and Christology of Latina evangélica theology, is next on my agenda for this dialogue. 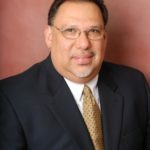 However, let me first follow up my reflection on Conde-Frazier’s important critique of the church today with this question: Given the so-called “decline of the mainline Protestant church,” which is real, I wonder, nonetheless, what a Latina evangélica theology can contribute to help “halt” the decline or better yet, rebuild the US Protestant church in a new way? Loida Martell-Otero insists that Latina evangélicas exercise their spirituality not just through spiritual practices but through encounter with fellow travelers on the journey of faith each day—lo “cotidiano.” We “make present” the reality of God by taking the time, regardless of our agendas and busyness, to encounter each other and each other’s Spirit over a cup of coffee, a house-cleaning expedition, a hospital visit or visit to the playground with our kids. How does the spirituality of everyday life make sisters and brothers in Christ out of those whom we know only through the daily, simple, yet typical encounters of life? Spirituality “on the go,” “on the way,” “en casa,” “en la calle”—on the home front and on the streets of life—is what drives the spirituality of Latina evangélicas, argues Martell-Otero. I think she is right. As we get older and busier, we make all kinds of excuses to limit our spiritual practices to the prayer closet and Bible study room, rather than the laundry room in our apartment buildings and the hallways of our kids’ schools. A “cotidiana spirituality” makes sense and it’s about time we are real about reality rather than supra-real about our spirituality. Can you help with my maleness, Professor Martell-Otero? Is it a “male spirituality” that cannot transcend to its “feminine side”? Or is my own trepidation about time an insistence on honoring other people’s notions of time and space, as long as I don’t ignore them (i.e., the people and their needs)? I am thankful to Professors Maldonado Perez, Martell-Otero and Conde-Frazier for exploring so keenly their theologies of Spirit, church and spirituality, among other themes. Where do we go from here? I am so energized about the power, creativity and common sense of Latina evangélica theology proposed by our colleagues, that I want to explore with them what I consider to be an important and necessary proposal in this day and age. Our authors insist that “evangélica” is not “evangelical.” But what if it were? What if Latina evangélica theology, as described by these three fine theologians, who come from Baptist, Pentecostal and Congregational backgrounds in the Latina/o church context, are pushing the envelope of what it means to be “evangelical”? In response to this important question, I cite three areas of concern, some of which are explored in this volume; some of which drive my own thinking recently: defining soteriology, seeking justice, and the “values” of modern, American evangelicalism. 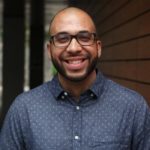 Briefly, Martell-Otero writes that talk about “salvation”—soteriology, with its sense of shalom, wholeness and well-being—must include the “here and now” sense of liberation and hope that is entailed in these rich biblical and theological terms, including the New Testament Greek soteria. Indeed, Martell-Otero notes, the personalization of soteria in evangelicalism has done damage to broader understandings of “salvation.” Thus, why not be “evangélica” in how we use the term “salvation,” with its more holistic meaning. For example, what if the late, great missiologist Orlando Costas, an important teacher for both Martell-Otero and Conde-Frazier, was correct in his conception of the “multiple conversions” that we all must go through in our faith journeys—saved by faith in Jesus Christ in our relationship with God, but also converted, sooner or later, to a gospel of social justice as part of that faith, and called to a ministry of reconciliation of God with all of humanity (as in 2 Corinthians 5:16–21), etc. Thus a “multiple soteria” becomes the heart of evangelicalism in every instance, the soteriology that helped designate Costas himself as a “radical evangelical.” What if that were the only kind of “evangelicalism,” as recommended by the Latina evangélicas? Thus the evangélicas’ insistence that we seek justice with our spirituality, missiology and eschatology should become the signpost of evangelicalism, which should be about the gospel, that is, a good news theology, and not just about “personal salvation”—a singular, one-time confession that Jesus Christ is my personal savior. Indeed, why not “salvation for all”—because we seek justice for all regardless of race, ethnicity, gender and religious tradition? I think we need to be interfaith in our evangelicalism. In 1995, I joined the faculty of Hartford Seminary, a mainline Protestant seminary that was becoming increasingly interfaith in its outreach. Over time, my well-trained evangelical theology and soteriology—that insisted that only Jesus “saves”—changed. My interaction and friendships with people of Muslim faith convinced me that while Jesus is the “savior” for me, I could no longer say that faithful people of other religions also needed to confess Jesus as their “personal savior” to achieve soteria—liberation in and reconciliation with God. I understand now, having read Latina Evangélicas, that I was becoming more and more evangélica. Finally, white evangelicalism, in particular, given the results of the presidential election in 2016, is not only concerned with orthodoxy or even orthopraxis. In many ways, pocketbook issues ruled the day. This is nothing new. In 1980, when Jimmy Carter was running against Ronald Reagan, I was in my first year of seminary at a conservative evangelical school. The student government undertook a straw poll to see whom students favored in the election. I was a New York kid, lifelong Democrat and Latino urban Pentecostal. I assumed that Carter, the faithful churchgoer, Southern Baptist, and Sunday School teacher would sweep the campus. I was wrong. Reagan, the Republican movie star governor from California, who rarely went to church and was only nominally Christian, won on campus by a 2-to-1 margin (and, of course, won the national election, twice!). Like Dorothy, I wasn’t “in Kansas anymore.” Actually, I was, metaphorically and politically, if not geographically. I was the naïve New York urban Christian liberal Democrat, who believed that the gospel calls us to love the “least of these,” like Jesus did, and, therefore, seek justice, like Carter did. But Carter didn’t have the right economic policies. “Trickle-down” beat out “born again.” Show me where your wallet is, not your heart for the poor. And now there’s Trump: nowhere near Reagan in human values; a self-serving misogynist; a predator business man; and now, after six months, proved to be an inept and deceitful leader in the White House, and an embarrassment around the world. Eighty percent of white evangelicals supported him; and even after these six months of corruption and chaos, many still do. Surely, it is time to take back the meaning of what it means to be “evangelical.” Or, perhaps it is best to let it go, and for all of us to become evangélica. “Evangelical values” are not what they used to be, if they were ever anything more than a cultural expression of white Protestant conservative political and economic values. Las evangélicas can teach us the right way to do gospel. What do you think? It was precisely this difference, which I perceived intuitively early in life and became acute enough that it required a more precise articulation following my theological studies, that led me to an early and continued insistence that to be evangélica was not the same as being “evangelical.”2 My early intuition—that “evangelical” is not simply a theological stance in this country, but a profoundly political one—has come to bear fruit in the recent debates around racism, immigration policies, and the actions of the current residents of the White House. It is the white, evangelical majority who have sought ways to justify misogyny, xenophobia, sexual misconduct, and other “anti-evangelical” actions, both private and legislative. It has not surprised too many evangélicxs that 81 percent of evangelicals voted for Donald J. Trump, and that 80 percent of white evangelicals in Alabama supported Roger Moore in spite of the overwhelming evidence of his sexual violence against women.3 A recent article by Seth Dowland notes that in the United States, identification as “evangelical” over a varied and fractured history has often taken place based “not [on] the substance of their theological infighting but their political alignment.”4 Whether we can redefine “evangelical” for evangelicals in this country is beyond our purview. They certainly are not a monolithic group, and we make a mistake by painting them all with a broad brush. That being said, evangelicals must confront their history and current beliefs with a full understanding that their actions have often been, to echo Medellin, “anti-evangelical”—anti-good news for a suffering world, particularly for the oppressed, forgotten and marginalized. An evangelicalism that continues to read the Bible through the eyes of power and privilege will continue to be “anti-evangelical” for those at the margins. In regard to Agosto’s quandary about notions of time and place, I do understand that I am calling for a radical shift in paradigm of how we relate to each other. I am, in fact, asking that we no longer “do business as usual.” I would make two observations. First, how we carry out our lives in society at the moment has proven to be death-dealing. We have lost human touch with each other. Families inhabit the same space but interact more with their iDevices than with each other. We live harried lives. Alzheimer’s and other neurological diseases are at an all-time high. I have to wonder if it is not partly due to the fact that we do not allow ourselves or our neurological systems rest.5 We are constantly bombarded with information: we email, we text, we tweet, we Instagram, we Snapchat, we Whatsapp, we Facetime, we Facebook; and all the while we are rushing to meet one deadline after another. In academia, people’s vacations are more about catching up with writing projects than with simply being. Taking time to be with each other, with ourselves, and with God is a space that we rarely occupy; it is, indeed a luxury. That is to say, we have not simply violated the Sabbath; we have decimated it. Given the economics of the time, fewer people can retire and more people are working for longer years at a frenetic pace. We live in an ill society that has lost its sense of humanity. No wonder we have no idea of what to do with the vulnerable: with the ill, the infirm, the aged, or the young. If you are not working, not producing, not rushing about, then there is no place for you in modern US society. There is something deeply disturbing for me to see five-year-olds with mobile phones. We have robbed children of their childhood. The arts are being sacrificed unless there is a way to monetize them. The words “play” and “recreation” are becoming anachronisms, and thus we have lost access to the restorative mechanisms that bring us to individual and societal health. Ultimately, my concern is not so much that we are on time. I believe that if we take time to develop healthier human relationships, that will also lead to being considerate of our colleagues at work out of respect to them and to our positions. My concern is that our current focus on time is a result of its being monetized in unhealthy ways: time is money, and efficiency is not about achieving anything useful but rather about being productive, or seemingly so. We have bought into the neoliberal economic machinery of profit-making and sacrificed our humanity at its altar. It is about this that I raise to a protest, and I beseech my colleagues that we find healthier alternatives. A few nights before graduating from divinity school, I sat with a group of my Latinx classmates and friends in the apartment. We laughed and reminisced. Inevitably, the conversation turned to our mothers and our grandmothers. All of us were so different—geographically, racially, culturally. Yet, all of us were irrevocably marked by the faith and church tradition of our mothers. For the longest time, I thought the prayer that I had learned as a child, “En paz me acostaré, y asimismo dormiré . . . ,” was invented by my grandmother. It was only much later in life that I realized that she had made me memorize a chunk of Psalm 4. Our families would soon be in town for our divinity school graduation. We would meet, or become reacquainted with, each other’s mothers. And our friend Katherine Guerrero summed up the moment best when she said: “Spending time with your moms makes me realize that your moms’ faith and strength look a lot like mine. We wouldn’t be here without them. We stand on their shoulders, the shoulders of giants.” Throughout the year, we would jokingly request for prayers in our group text from each other’s mothers and grandmothers because of their extra potency. But their power was not a joke. Latina Evangélicas became one of the Great Books in our unofficial core curriculum. It reflected back to us what we knew to be true but did not necessarily read or find in formal education. For me, this book changed my life. While reading it, I experienced things that I have never experienced while reading anything else. Intense flashbacks. The songs and smells of church growing up. Healing. The urge to break out singing Coritos. Most importantly, I heard the voice of my mothers. This book helps to articulate the constructive theological praxis forged by Protestant Latinas in the midst of transnational movement and struggle. What makes these women Evangélicas may trip up some North American readers. That is because the term Evangélico itself is related to but not synonymous with the US understanding of Evangelical. As Daniel Rodriguez points out in A Future for the Latino Church, Evangélico is not equivalent to the English word Evangelical and its precise political/theological connotations (28). Sometimes, Evangélico can simply mean Protestant. Yet, this distinction has not stopped some from problematically reducing Evangélic@s to the contours of Anglo Evangelicalism. This observation above is not to deny any similarities between the two groups. After all, many Latin@s have become Protestants through the influence of North American evangelical missionaries. But what they have forged, I argue and Latina Evangélicas assumes, is a distinct tradition. Latinas have taken Protestant traditions and theologies and have remixed them and built upon them in unique ways. In my mind, this is why the Evangélic@ tradition—at its best—can be a postcolonial construction of the fruit of what was and is a colonial missionary enterprise. At its worst, the Evangélico tradition mimics and merely attempts to approximate Anglo Evangelicalism in brown skin. In the introduction, Loida Martell-Otero explicitly states that this book “represents a postcolonial reinterpretation of our theologies” (2). This book also helpfully expands what is typically included under the banner of Latin@ theology. Latina evangélicas operate with a different framework than that of Latin American liberation theologies and differentiate themselves from their Catholic sisters in Mujerista and Latina feminist streams. I remember reading a part of Ada María Isasi-Díaz’s En La Lucha and scratching my head. She said, “The Bible, biblical truth, and revelation are not repudiated by Latinas but, for the majority of Latinas, they are not central, they are not considered very important, they do not play a prominent role in our lives” (62). This did not apply to the majority of Latinas I grew up around who were evangélicas. With that said, it is important to not read the book Latina Evangélicas in opposition to these other streams of Latin@ theology. The authors point out that they share much in common with other Latina theologians; namely, an emphasis on lo cotidiano, or daily life as a source of theological reflection, and teología en conjunto, a collaborative theology (6). I do not wish to overly romanticize this tradition. Our mothers are not perfect. Neither do I want to lapse into simple nostalgia. Nevertheless, I am proud of my inheritance. This tradition makes powerful contributions that can be enlightening for all Christians and people seeking to understand Latinx faith. Latina Evangélicas does an excellent job of theologically articulating some of the distinct moves that Latina evangélicas make in their lived theology. In what follows, I want to highlight three moves in the areas of pneumatology, scripture, and eschatology. Afterwards, I will raise two questions: on coloniality and masculinity. Zaida Maldonado Peréz writes about the important place of the Holy Spirit for Latina evangélicas. She says that the Holy Spirit “is like the wild child of the Trinity. . . . She is the salsa beat in our daily foxtrot. . . . She is and will be unconventional, even uncultured” (14). Peréz continues: “The Holy Spirit is divine presencia” (17). For evangélicas, the Holy Spirit is the intimate presence of God with us. Presence, here, does not signify primarily revealed content or ideas but rather the extension of a Trinitarian dance, the extension of divine perichoresis or mutual indwelling movement. It is also important to address the Holy Spirit as a person and not as an unknown force. “Evangélicas know,” Peréz writes, “this wild child, who is often preferred as absence rather than presencia (presence) because we too have experienced being treated as no-bodies and invisible nothings” (19). Peréz turns to the Coritos, or short refrains, sung in Evangélic@ churches to demonstrate how much of an emphasis there is on addressing the Holy Spirit as a person. In addition to describing the Holy Spirit as intimate presence and as extending a divine dance, Peréz believes that the Spirit is characterized by life. She writes: “For evangélicas this danza also includes the redemptive power of Spirit to humanize. . . . Spirit is the One that leads us away from the habitus of death on a personal as well as interpersonal level” (20). For Peréz, what distinguishes the Spirit from other spirits is the Spirit’s promise to bring life and healing. Peréz argues, “The presencia and danza of Spirit never leave in her wake destruction, death, exclusion, oppression, dehumanization, loss, and invisibility” (27). In this light, sound theology, and sound Christian praxis, is marked by its ability to bring life, wholeness, and healing into our everyday lives. “Where there is Spirit,” Peréz adds, “there is healing” (27). The Trinitarian dance, the Trinitarian salsa that the Holy Spirit extends to us is marked not primarily by forced subservience, but by healing love. Loida Martell-Otero examines Evangélica uses of scripture. Unlike their Catholic counterparts, scripture is much more central for evangélicas. Nevertheless, evangélicas do not reduce scripture to authoritative revealed content. Instead, scripture is primarily the conduit for an embodied event of salvation “that brings about santidad (vocation), sanidad (holistic healing), and liberación” (34). This insight helps us to understand why so many grassroots evangélicas prioritize, and read as historically true, stories about healing, feeding, and restoration (40). One story that Martell-Otero focuses on is that of the hemorrhaging woman in Mark 5. Martell-Otero writes: “Like many evangélicas who could claim this woman’s story as their own, she had no one to intercede on her own behalf. She had to seek relief for her chronic condition on her own. She approaches Jesus with fear and trembling, as so many in the Latin@ community, particularly undocumented workers, approach hospitals and health care facilities” (45–46). In the Gospels, Jesus’ attention to women like the hemorrhaging woman or the Samaritan woman is interpreted by evangélicas as demonstrating God’s special attention to the suffering of voiceless women and indicates that they should not be afraid to approach God for healing. Scripture is an extension of God’s healing power. Later in the book, Martell-Otero presents an Evangélica understanding of eschatology. She argues that much of Western theology has articulated eschatology in terms of futurity, in terms of chronos or time. Instead, Martell-Otero wants to articulate eschatology in terms of spatiality or presence. This, she believes, is the key to understanding evangélica worship and to avoid making the mistake of dismissing the worship of Evangélic@s as escapist. Because much of Evangélica worship, including Coritos, includes language about heaven and transcending earthly realities, it is easy to read the worship as escapist. Yet, Martell-Otero thinks that we mistakenly read it as escapist because we lack a spatial understanding of eschatology, and an understanding of Latinas’ transnational struggles. Eschatology is not mostly about a future time, or a faraway place, but about “the reign of God” permeating into everyday spaces (112). Worship, therefore, is “the intersection of divine space and time . . . the border crossing of God’s eternity with our creation space” (120). As such, Evangélica worship is marked by kairos, and not simply chronos moments. When evangélicas sing about heaven, they are not mostly singing about escaping this earth. Instead, they are singing about God making a home for them in the here and now. As Martell-Otero writes: “For Latinas, injustice is to be dis-placed” (117). In this light, worship creates spaces where God’s presence permeates and mends physically/existentially displaced lives. The language of heaven challenges the earthly order of things: “For those who have no place . . . the space next to Jesus outside the gate is precisely the celebration of ‘another order of place.’ It is not a circumscribed geographical place, but rather a sacred space” (117–18). Martell-Otero reiterates that the Evangélica eschatology operative in worship cannot be properly described as escapist: “These experiences are not escapist, privatistic affairs. Each of these experiences counters their experiences of injustice” (121). Lastly, Martell-Otero emphasizes that God’s eschatological in-breaking is marked by healing. “Healing,” she writes, “in particular, is an important eschatological sign for those whose bodies are often exploited and abused. . . . Spirit is the one who makes space where there is none, and who pours life where there is death” (122). Eschatology is about the healing of creation’s wounds. In this picture, worship is eschatological space travel for women seeking healing from the open wounds of various borders. Latina Evangélicas demonstrates how evangélicas can turn pneumatology, scripture, and eschatology—often tools of death and indifference to their suffering—into tools of their own healing. These theologians envision God as source of healing for some of the most marginalized and displaced women in our midst. Loida Martell-Otero, Zaida Maldonado Peréz, and Elizabeth Conde-Frazier have done a remarkable service to our community and tradition in this collaborative project. At this point, I would like to raise a couple of questions to Loida Martell-Otero who is representing the book in this forum. The first has to do with coloniality. Martell-Otero writes that she and the other authors are aware of the need to “critically discern aspects of our inherited traditions that have been colonized” (2). Yet, there is sparse engagement with the issue of coloniality throughout the book. Traditional loci of theology are engaged without addressing how evangélicas should relate to non-Christian women. This poses a particular problem because of the tendency for evangélic@s, like many Latin American and Caribbean Christians, to demonize other spiritualities. I think about the work of Michelle Gonzalez in A Critical Introduction to Religion in the Americas in which she demonstrates how the presence of the African diaspora and ingenious religions challenges the exclusive Christian framework of Latin@ theology. If we are indeed to embark upon decolonial interpretations of Evangélic@ faith, then it appears that we need to go much further than distinguishing it from Anglo Evangelicalism. How does Martell-Otero relate the constructive proposals of this book with the problems raised by coloniality? Perhaps this goes well beyond the scope of the book but the issues, nevertheless, remain important. I would appreciate hearing her thoughts on this. The other question I would like to raise concerns masculinity. Most of this essay focuses on what I consider to be the best of the Evangélico tradition. But remember what I said. At its worst, I think the Evangélico tradition mimics Anglo Evangelicalism and internalizes colonial prejudices. I think this applies to the elephant looming in Latina Evangélicas: the problem of Evangélico masculinities. Thankfully, I grew up witnessing Latino evangélico men who supported and made room for women’s empowerment within their congregations and homes. Indeed, I have encountered congregations led, from the very top level of senior pastor, by women. Nevertheless, I have also witnessed plenty of scenarios in which the insights and leadership of Latina evangélicas has been controlled by and subsumed under the leadership of men. Now, to be sure, I am not proposing some extra exotic category of “machismo.” Sexism is rampant in all churches, including liberal white churches. Nevertheless, the problem of sexism and the construction of masculinities within Evangélic@ churches remains. The book does not directly tackle this problem. Maybe it does not need to. Perhaps the burden is on Latino Evangélico theologians and practitioners to address sexism and constructions of masculinity in the church. Still, the particular spaces that this book addresses naturally raise these questions. I know women for whom Evangélic@ churches have been the opposite of healing. Instead of finding healing, some women encounter another layer of policing and control. How does Martell-Otero relate the framework explained in this book to these particular realities? One of the most moving experiences I have had since the publication of Latina Evangélicas is the number of people, particularly students in seminaries and graduate programs, who have shared with me how this book has resonated with their tradition, as few books have done in their seminary career. From its earliest inception, this book was intended to be for a (then) future audience of evangélicx scholars who I knew would eventually populate our seminaries and graduate schools, and who would need resources that spoke to their traditions and doctrinal beliefs. As Daniel Camacho correctly points out, the book was never intended to be about countering other traditions or theological perspectives. Rather, it was about honoring voices that had long been ignored, and ridiculed as insignificant, ignorant, superstitious, and without merit. As I sat through my years in seminary, and later in graduate programs, I found myself repeatedly having to assert and reassert my voice and the faith tradition that provided me with a foundation and a formation. 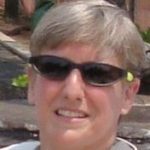 I cannot begin to describe how frustrating it was that subsequent to the defense of my dissertation, which sought to articulate an evangélica soteriology and Christology, a white feminist reader severely criticized my work as “having no viewpoint or perspective,” primarily because it did not represent a worldview that was familiar to her. I had to explain that “Latina evangélica” was a valid perspective. Our goal was not to address all the topics we could have or might need to in the future; we are acutely aware of this. Indeed, each of us have subsequently addressed pressing issues as individual authors. Chapter 8 in Latina Evangélicas reiterated what was on our “wish list” if we could continue the conversation we had begun. One of them was to write a chapter on sin. Yet, we noted that we addressed its realities in a multiplicity of ways as it impacted our lives. While we did not write up an exhaustive analysis of sin—in part because we believed that this has been done effectively in a number of ways in other venues—we also desired that the first public introduction of our theology focus on a more constructive approach. Thus, we admittedly did not so much expostulate about sin itself as much as posited how we experienced salvation from those sinful structures. While Camacho does not believe we addressed the sin of sexism, we do respond to it a number of occasions throughout the corpus of the book: in Maldonado Pérez’ bold use of female pronouns for the Spirit, in my critique of how the text of the Samaritan woman has been misread and misused, when I identify sin as displacement and death that takes place not only in society but in the church, in Conde-Frazier’s astute interpretive “parables” of the women in the bathroom and the young woman who reads Scripture in liberative and subversive ways, etc. Such analyses often counter the very male-centric and sexist ways in which the church has been oppressive to evangélicas. The miracle is that we have heard the song of the Spirit, we have accepted the invitation to dance, and found life and agency in such spaces—in bathrooms, in baby showers, in parking lots, in testimonios and in coritos. Having said that, I also want to underscore here the response I gave to Carmen Nanko-Fernández’s essay: that for many of us “anti-colonial” analysis did not begin in the halls of academia (which are often experienced as highly colonizing and oppressive), nor did they arise from reading classical works on the subject. Rather they arose from our experiences in the Charismatic movement, and its unintended consequence of reaffirming our cultural values and our voices: the blowing of the Spirit led to the affirmation of agency in new and often subversive ways, and to a critical questioning of the status quo. Anti-colonial analysis provided an academic process for what began as an existential critique of the political, religious, and cultural structures imposed on us by “Americanization” and missiological efforts. Consequently, while not all of us use the language of “anticoloniality” it does not mean that it is not a subtext of our work. Indeed, my eschatology can be considered an anticolonial analysis of eschatological theologies as they have been traditionally taught in evangélico churches, with my insistence that it is not an escapist “pie in the sky” reality and my call to resist the tendency to monetize time by prioritizing relationality (kairos) over chronos. We have duly noted Camacho’s questions with deep appreciation. It helps us as we gather to consider our “next steps.” The book was meant to be an introduction to our world, and only that. We have invited the world to our sala (living room), and even to our cocina (kitchen) for café, but we also realize that there many more rooms to explore. The response to the book, and the probing questions of scholars such as Camacho, encourage us to continue to open up the doors to those other rooms to further explore new themes from an evangélica perspective. 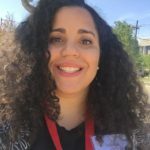 As a Latina evangelica finding her way and path as a pastor, thinker, and activist, Latina Evangelicas: A Theological Survey from the Margins felt profoundly significant for me and my community of Latina evangélicas. It was the first time I had come across and read a theological book written solely by Latinas who consider themselves evangélicas. As I read Latinas Evangélicas, it was helpful for me to learn more about the authors and where they were coming from. Because there is such a diversity within the Latin-American experience and narrative, it was good to know what type of community and context the authors brought into their writing, especially when they were writing for a broad Latina evangélica group. It helped me better understand their work as a whole by causing me to imagine the authors’ Puerto Rican, mostly Pentecostal background and be open to the different nuances of their particular story in relation to mine. Since I believe in the importance of sharing context, I begin by sharing some of mine. I am the daughter of Guatemalan immigrants, and was born and raised in the city of Chicago. My parents worked labor-intensive jobs to support our family and leaned heavily on our church community for support and renewal. The church community I was mostly raised in was an evangelical, charismatic, nondenominational faith community made up mostly of Central American, Mexican, and a smaller percentage of Puerto Rican and South American immigrants and their children. Although my parents became US citizens in the late eighties, I was exposed regularly to the stories of undocumented people through my church and extended family. In my church community, I grew up alongside peers that understood where I came from—children of immigrant parents, navigating two cultures and identities. We spoke in English and Spanish, and often in “Spanglish,” and were able to go back and forth from the English-speaking world of our schools and broader society to the Spanish-driven world of our parents. While I was grateful for the warm and rich community of my church’s upbringing, I grew tired of the patriarchal and authoritarian ethos that I felt I ran up against and that stymied my growth as a leader. Since then, I have been on a journey of reckoning with and integrating my particular Latin-American church experience into how I lead and pastor—from what I celebrate and am deeply thankful for to what I find difficult and harmful. Latinas Evangelicas continued that conversation for me and gave me more tools to further my self-reflection and empower my pastoral ministry. 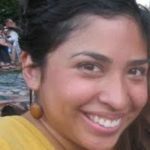 Latina Evangélicas sets out to lay the groundwork for a conversation around the description and direction of Latina Protestant theology. In that spirit, the authors begin to define as a starting point what Latina evangélica theology is and is not. Examples of this include that it is a theology inherited from women leaders in their church and family communities; that it is a postcolonial theology; and that it is not a reflection of a static or monolithic community. Much like in an in-person conversation, there are things about the book that stand out to me, that resonate with me, and that I do not connect with or that I question. The book begins with the Holy Spirit, an intentional choice that underscores the prominent role that the Spirit of God plays in the life of evangélicas, moving in and through them and empowering them to do God’s work in spite of difficulty or opposition. It is the Holy Spirit that makes God’s presence known so tangibly in the lives of evangélicas. I found this to be true in my experience of the emphasis of the Holy Spirit. Just by simply naming the Holy Spirit, I can remember feeling a sense of liberation being unleashed on women as they stepped out to speak and lead with boldness and authority, even if they were not recognized as formal leaders of the church. According to the authors, God is indeed presente (present) in the experience of being dehumanized, an all-too-common reality in the Latina community (as well as in the greater Latinx community), but especially in Latinas living on the margins of society. No matter where Latinas live and do life, the authors highlight a concept called “lo cotidiano” of Latina evangélicas in chapter 3 and throughout the book—the everyday, lived experience. God sees and is present in lo cotidiano of Latina life, heals areas that have experienced hurt, and uses it to bring healing and restore personhood to other Latinas evangélicas. The authors end with an eschatological picture of justice rooted in restoring personhood to all marginalized peoples and culminating in a state of flourishing for the entire creation. In my upbringing, I witnessed weary, sometimes defeated, undocumented immigrant women find meaning, purpose, and their fundamental worthiness in the close presence of God during worship. Often this would occur as women prayed with and for one another. I recognize that I am a Latina with layers of privilege, but that I have also experienced dehumanizing effects of micro-aggressions. Most recently, I have felt the sting of dehumanization against the Latin American community from the past presidential election cycle and of the current presidential administration. It has caused me to turn to God and experience anew God’s personal words of belovedness that restore my sense of worth, dignity, and belonging. The theme of personhood is real and runs deep, and I am grateful that the authors were able to name it and expound on it. I have found it significantly comforting to turn to a God who sees the nuances of my life by noticing my everyday struggles and victories (lo cotidiano) as a Latina evangélica, and habitually speaks healing and empowerment to the innermost parts of me. The authors assert that part of that everyday life or lo cotidiano is doing life in community, much like the Trinity, and collaborating with one another instead of battling against one another, in order to advance the work of justice. I grew up around spontaneous meaningful chats among coed groups and women over un cafecito con pan—some coffee with sweet bread. These chats potentially led to longer discussions or simply to brief moments that reinforced a connection. It was almost like cafecito con pan was the glue that held our community together and where we further dialogued and moved projects along. It makes sense that the authors would translate this connecting and collaborative spirit to this project, as an extension of who they are rooted in their culture. It communicated to me that they are of the belief that they work better together and do not presume to have it all figured out in one book—a posture that I encountered among the women of my church as well. Another place of alignment worth noting was in their highlighting of coritos. The authors introduce that coritos are an important outlet for the Latino faith community, both in Protestant and Catholic circles (33). Coritos are short songs or refrains within songs that are repeated and that are typically based from a text in Scripture, perhaps comparable to the “praise choruses” that we hear in contemporary Christian worship music. On the surface, they may appear as simple repetitions sung dramatically, but, as the authors described, they hold much more complexity, depth, and weight to us as a worshipping community than may be initially perceived. They are necessary channels of pouring out ones sorrows, joys, hopes, and testimonies as Latinas. I appreciated that they drew upon the work of the late Father Virgilio Elizondo and his tracing back of this kind of expressive and poetic communication to the indigenous practices of the Mesoamericans in his book Guadalupe: Mother of the New Creation. What I hear in both Elizondo’s work and in Latinas Evangélicas is that this kind of expression through song and emotion embedded in singing coritos is built into our DNA, so to speak, and is a beautiful part of how we communicate with God and how God communicates back to us. I have vivid memories of women (and men) not just sing, but rather crying out these coritos as a means of pouring out their heart and soul and encountering the holy. To this day, if I am in a setting that feels familiar and safe—often in the comfort of my own home—I will also allow myself the opportunity to connect with God and myself deeply through the singing, or rather belting out, of coritos. Through these coritos, the authors weave in how God is indeed presente to women in a special way through the presence of the Holy Spirit. And yet, because I grew up in a Guatemalan context, I did not quite track with some of the Puerto Rican idioms, such as the term of satas (36). In Puerto Rico, satas is used as a slang word to describe a person who is of mixed ethnic descent. However, satas has morphed into a pejorative title for anyone who is considered of low status or quality of character. The authors use it to help describe the way poor Latinas are sometimes seen, called, and treated in the United States. Whenever an immigrant Latina is called “an illegal,” she is being treated as a sata. Here, I learned a new Puerto Rican term, but it prompted me to recall other words and ways my Guatemalan culture would describe this type of derogatory word. I responded similarly with the difference in the authors’ mostly Pentecostal upbringing and my church culture of origin, which was not Pentecostal, but a mixture of Protestant, charismatic and nondenominational with some Pentecostal characteristics. The authors did not describe in detail their church worship services, but reading about their Pentecostal roots caused me to recall our worship services and church culture. In our worship, some of the basic Pentecostal structure was there, but what was different was a less rigid adherence to speaking in tongues. I knew of some Spanish-speaking Pentecostal churches in which women were forced to sit on a particular side of the church or dress in a certain way, and in my church, that was not the case. Where I struggled the most was the tension between the church culture of some of our upbringings and present-day Latin-American congregations and the church culture that we would like to see take shape in our Latin-American communities. Some of those church cultures were immersed in patriarchy and unhelpful theology, and many of the women did not have another choice but to embrace and promote these postures and positions. This is true about many Latin American church communities of today. For example, how the authors describe the Latina evangélica approach to eschatology and its relationship with justice is in conflict with how it played out in the church culture of my upbringing. In the church that I was raised in, the message about the last days around Christ’s return was about being taken up into heaven and leaving the earth to be destroyed. There was no connection to this earth and the life of the poor and oppressed with the age to come, other than a form of starting over in heaven. This translated into not caring much about the world, but rather shifted our energy into passively hoping for the day when we would meet Jesus in heaven and all of our troubles would be gone. This view is not in line with how the authors articulate their Latina evangélica vision of eschatology, in which there is a not only a connection with heaven and the earth, but a merging of heaven and earth. This kind of eschatological vision translates differently in that we not only care about the world we live in, but we also participate in God’s work of promoting peace and justice in the here and now. It is rooted in the belief that the work we do now is not in vain, but a faithful response to anticipating that God will complete that work in the age to come. I find myself heartily agreeing with and longing for that kind of eschatological peace and justice that the authors describe, but I do not remember learning that message in the church or from women of my upbringing. Although the authors do acknowledge that this kind of messaging does not always play out in our Latin American churches, I would have appreciated hearing more about how this tension between their distinct Latina evangélica perspective is and is not implemented or lived out in our church communities. Martell-Otero, Perez, and Conde-Frazier have given the theological world a gift in their work and begin an important and long-awaited conversation. Part of beginning a conversation is that you may not be able to share everything in one setting. They recognize and address this in the last chapter of their book, which I found helpful in reinforcing the tone and expectations of their project. For them, this was not a closed, competitive work, but the beginning of an open and robust dialogue. They raise questions and bring up issues, even as they confidently articulate a Latina evangélica theological treatise. I appreciated how they honored and acknowledged their Catholic Latina sisters who helped begin the broader conversation of Latina or Mujerista theology, while forging a way forward for a distinctly Latina evangélica theology. Not only did the theological community need to hear their voices, I believe they also benefited from seeing a model of a collaborative, humble and bold approach to doing theology. As a Latina evangélica, I felt immense pride in reading Latina Evangélicas. Unfortunately, it is not a familiar experience for me to read theology and connect so personally to the stories and background of the writers, so this experience was one that I cherished. I loved being able to hear and see myself and my culture in their writing. It gave me more clarity and confidence to claim my distinct voice and place in pastoral ministry and in the greater theological community. For instance, engaging with the background of coritos has encouraged me not to shy away from bringing that part of my culture and background into how I walk with people and model or describe ways of connecting with God. It helps me to stand more firmly in the legitimacy, beauty, and richness of my culture and not be afraid to bring that into how I do ministry. I imagine that this would be true for other Latina evangélica. Even if they take issue with one or several things in their work—which is a good thing—I believe that it is a vital read for all Latinas evangélicas, especially those in ministry. We need to hear more perspectives and approaches that we may continue to paint a fuller, more nuanced picture of Latina evangélica theology and be empowered to lead with greater courage and focus. There is certainly more than enough room and cafecito for us to continue to broaden and deepen the conversation. There is something very sacramental about sitting around the table, coffee cup in hand, and engaging with another. The very elemental process of colando café (brewing coffee) to serve a strong expresso with or without a bit of warmed milk, so that it becomes a rich caramel color, sweetened with azúcar (sugar) and served with pan caliente, is a ritual that seems to transcend the cultural and ethnic barriers of the various communities that comprise this monolithic term “Latina.” Whether Guatemalan, like Jennifer Gillan, Puerto Rican like myself, Cuban American, Salvadoran, or Honduran, it is a recognizable symbol. For further intimacy, the best place to drink café is the table in the kitchen. Here is the “holy of holies” of Latinx hospitality. You are truly treated as family when you are invited to the kitchen to share in a cafecito. In the Johannine gospel, it is at the table of the last shared meal that Jesus declares to his disciples that they are no longer servants, but friends (John 15:14–15). There is an intimacy, a sense of shared journey, a resonance allowing us to recognize each other in love in the midst of difference that makes the Eucharistic meal a sacramental one. I believe the same takes place in the kitchens of Latinas across cultural and geographical divides. ¿Quiéres un cafecito? is not an invitation to an inconsequential act, but rather to enter into a relationship, and thus a holy moment in the spaces of lo cotidiano. I am heartened and grateful that Gillan heard the invitation and resonated with it, and thus has engaged us with deep honesty and vulnerability. The use of “sato/a/x” language in the book was one way I sought to assert and celebrate difference. I spoke with a different tongue. The Spirit gives us the gift of different tongues. My use of “satx” terminology has been criticized in various ways. One online reviewer misconstrued my use of the term and thought I was insulting women. I admit to using a provocative word. I allude to this somewhat in the book.2 The term, which in Puerto Rican slang refers to a mixed breed dog (a mutt) and has come to refer to someone of questionable moral character, was used precisely as a distinctive Puerto Rican term. It was not meant to be “translated.” In theological circles, the language of mestizaje had been uncritically used for some time, regardless of the cultural ties to Mexican history and culture.3 Indeed, the term went unquestioned until only recently.4 My use of sato/a had a twofold intention: (1) to underscore the difference in our particular voices—it wasn’t meant for adoption or use by other cultural groups, but rather was the reinterpretation of a general Latinx reality within the parameters of a particular Puerto Rican experience; and (2) it was meant to reinscribe the scandal that mestizaje created at one time, due its pejorative implications in the cultural world in which the term was birthed. To be a child of miscegenation was a sign of inferiority, and therefore to be placed in the margins of non-being-ness. My intentionality in using satxs was to evoke the sense of injustice that is experienced when one is thus relegated to the margins of nonbeing simply due to the fact of one’s existence beyond the “norms” set by a dominating cultural group. It was not meant to romanticize that reality. Thus to describe Jesús as sato was to emphasize, not his biology per se, but rather his liminal location among the marginalized forgotten and despised of his time. It was to help us stop and ask the question, “Who are the satxs of our time?” Today, they include the harassed, detained, deported, caged, and mistreated migrants who seek shelter from the economic, ecological, military, and social violence of their homes. They are young black men who have on too many occasions been the shooting victims of law enforcement violence. They continue to be the trafficked, the poor, the colonized, the silenced, and the invisibilized of our society. The celebration of “difference” among us extends to the religious heritage of the authors. While Gillan tends to refer to us as “Pentecostals,” only one author has Pentecostal roots but in fact is now a member of the United Church of Christ. The prominent role of the Holy Spirit in our book is not so much due to ties to Pentecostalism as much as it is to the particular religious expressions of our evangélica beliefs and practices. Yet as we honor those traditions, and they serve as the basis and starting point of the book, we are not tied to the strict traditional interpretations of our evangélica upbringing. Thus we note in the introduction that ours is also an anticolonial, constructive, and therefore particular, theological contribution as evangélica theologians and scholars to the evangélica church and beyond. With that in mind, my articulations of soteriology and eschatology are based on two things. First, it rises from a careful listening and observations not only of what Latinas say, but just as important, what they live out in the spaces of the everyday. In other words, I often found that what was “officially” preached from the pulpit of the church service did not necessarily cohere with the reality of what is embodied in their day-to-day lives (vida cotidiana). Thus, while they sang about the “blood of the lamb” and repeated sermons about the “debt Jesus paid”—which is more an Anselmanian construct than a biblical one—in reality, for many Latinas, salvation has nothing to do with the death of Jesus, but rather with his presencia. It is Jesus’ life and his continuous intervention in their lives—his healing, speaking, providing, touching, transforming [social structures], protecting, loving—that is experienced as truly saving. In the same way, I listen to what they say and sing about eschatological themes and observe how they live those out, and again find that there is a dissonance between the two. This has made me question to what degree there is a colonized hermeneutic at play in what we preach, versus an anticolonial embodiment in how we live out our faith. My chapter on eschatology was written from that standpoint, as well as my own contribution as a constructive theologian: in light of a rereading of Scripture and revisiting the tradition, I shifted the conversation away from timelines—which have fostered a culture of fear—to one of relationality, which I believe reflects more accurately our cultural realities, but also fosters a culture of hope and joy. It seems to me that in light of current events, and as Gillan rightly notes, we need an eschatological hope that reaffirms our vínculos as familia de Dios (our relational ties as family as God), rather than solely focusing on a futuristic one based on a utopian existence in a heaven to come. We need an eschatology that affirms God’s commitment to justice, to the reunification of a people (even as families are torn asunder with the legalization of unjust persecution of the vulnerable). We need an eschatology that speaks of a “new heavens and a new earth” as we see the destruction of our climate that has led to “environmental refugees” and to devastation of our homelands.5 More than ever, we need hope that we struggle not in vain, and certainly not alone. More than ever, we need to be reminded that God’s final word will ever be love and life, rather than death or destruction. So we gather for a cafecito in love, across the enriching borders of difference, and we do this in remembrance of what God has done and will do. Several years ago Latino spiritualogian (theologian of spirituality) Gilberto Cavazos-González coined the term tíalogian/tíologian as a means of succinctly capturing the relationality at the heart of the theological enterprise en nuestra comunidad latina. The deployment of familial language in Latin@́ theologies is not new or news as is evident from such examples as a christological exploration by Luis G. Pedraja in Jesus is My Uncle, ecclesiological considerations of compadrazgo by Gary Riebe-Estrella in “Pueblo and Church” in From the Heart of Our People and more recently an interpretation of Trinity as “reconstituted familia” by Zaida Maldonado Pérez in Latina Evangélicas.1 Latina Evangélicas begins with an introductory chapter entitled “Abuelita Theologies” that affirms the origins of the authors’ theologizing as an inheritance from their “abuelas, madres, comadres, and tías” (2). With these familial connections in mind I take up the invitation extended in the closing words of this book to join mis hermanas evangélicas, nuestras tíalogians, to continue this God-talk at the table they have set because tienen “un cafecito listo” (138). I participate in this virtual cafecito klatch as a tí@́logian from another barrio.2 As a Latin@́ Roman Catholic I have worked with the authors en conjunto on any number of ecumenical endeavors over the years. My response arises from these implicated and embedded shared spaces, as well as from places distinct from their experiences. Latin@́ theologians take seriously the ethical obligation to socially locate, a constant reminder that all perspectives are situated, biased, and contextualized—especially our God-talk. Presumptions of universalism and normativity are exposed for the particularity they deny. From the title forward Loida Martell-Otero, Zaida Maldonado Pérez, and Elizabeth Conde-Frazier make clear the communities to which they are mutually accountable: their faith communities, denominations, networks of relations, grassroots commitments, madrinas, padrinos y companer@s, theological and otherwise, that nurture and sustain their faith and theological vocations. As evangélicas, they are rooted in the diverse Christian confessions that emerged with, from, and after the reformations; however they share a pentecostal impulse, one animated in Pentecost as “a revolution, the explosion of love among us and through us and released and poured out into the world to redeem, to regain and reclaim life . . . to bring light into darkness” (105). As theologians they are acutely aware of the complex matrices of Puerto Rican, Latin American, US, and Latinx influences that provide points of intersection for their common project without sacrificing the distinctiveness of each of their perspectives. Their book is an exercise in theology done latinamente, in other words, it models a preference for collaboration articulated as the doing of teología en conjunto with a product that is of the communal effort or de conjunto. This process of mutual engagement allows each perspective to breath in ways that do not squelch individual creativity yet bring forth something new out of their trinity of voices. Their theologizing is grounded en lo cotidiano, daily life as it is lived, especially from privileged spaces of people made marginal and vulnerable, the satas and sobrajas of our world, to use Martell-Otero’s colloquial Puerto Rican expressions for mongrels and those treated as disposable (30–51, 142). The authors acknowledge “the pneumatological strand that runs throughout all our theological discussions” in this book (9). This would be an understatement. For these evangélicas, the Spirit is “the kariotic evidence of God’s periochoretic dance” (120), the One who empowers and legitimizes their calling (9), nurtures their conjunto (14–32), transforms injustice, heals brokenness, and pledges God’s reign (121–23). Their focus on the Spirit was not originally a unanimous decision. Martell-Otero admits her instinct was to begin with the Trinity, but her compañeras convinced her that it was pneumatology that distinguishes evangélica theology and serves to avoid christocentricity at the expense of the Trinity (133). Their dynamic text and collaboration, across eight chapters, is a constructive pneumatology that offers imagery grounded en lo cotidiano and in an appreciation for the incarnational dimension of the Spirit in her praxis of accompaniment. In his study of the communication of the Holy Spirit by colonizing Spaniards in Mexico in the early part of the sixteenth century, Latino Catholic theologian Orlando Espín observed that the concept did not travel well. Espín focused on the presentation of the three persons of the Trinity, individually and collectively, in a commonly used pictographic catechism (Libro de Oraciones), in religious art and popular devotions prevalent at the time.3 He concluded that the Iberian Catholicism brought to América was markedly christocentric, and a deficient pneumatology, in which the default image for the Spirit was a bird, raises questions about theological reception lost in translation. Appealing to imagery ancient as well as constitutive of their lived experience as evangélicas, the authors liken the Holy Spirit to “the wild child of the Trinity,” unpredictable, uncontrollable, “illusive yet also fully present” (14). Initially Maldonado Perez formulates this image (14–18) to which all three authors return throughout the book. As wild child the Spirit possesses individuals and communities but cannot be possessed. Evidence of her animating presence is found in her charisms or gifts—prophecy, healing, wisdom; in their fruits of transformation, restoration, discernment; attested to through witness—in testimonios, coritos, preaching and advocacy especially with and for las sobrajas, those dispossessed by social structures and circumstance. From the outset, the Spirit as wild child is framed within the experience of dance: as partner, as freestyle dancer, as inviter to the dance, and as the beat that possesses one to enter the divine dance. “She is the salsa beat in our daily foxtrot and the un-dos-tres bachata in our electric slide” (14). The use of dance to describe the internal life of the Trinitarian God is not new. In Mere Christianity (1952) Anglican Christian apologist C. S. Lewis risks irreverence with his use of dance or drama to make sense of the “dynamic, pulsating activity” to which we are invited to enter.5 More recently, spirituality author and Franciscan friar Richard Rohr retrieves patristic insights of the Trinitarian God as both dancer and as circle dance, perichoresis.6 While las autoras evangélicas acknowledge the ancient provenance of the dance metaphor for the Trinity and briefly reference the scholarship of Baptist theologian Molly Marshall7 on God’s invitation to participate in “an eternal ‘perichoretic dance’” (113), their Pentecostal roots move them to stake out different ground by perceiving the complex Holy Spirit as wild child in terms of the versatility of a dance metaphor. For these evangélicas Latinas, dance is a response to the presence of God (113), and spontaneous dancing may indeed erupt from those filled by a Spirit who seizes hold of one’s tongue and one’s body. Conde-Frazier narrates an experience in a time of crisis when she could not pray. From her turn to the Spirit comes forth a song that surprises her and stirs her “feet to dance” (23). In their appeal to the imagery of the Holy Spirit as wild child, the authors respond to a concern expressed as “pneumatological docetism”8 by Pentecostal theologian Samuel Soliván (19). He criticized the depersonalization of the Spirit that constrains her as a neutered, impersonal, disincarnate, energy, influence or force.9 This disembodiment of the third person of the Trinity primarily serves the interests of those who seek to control and domesticate the divine, too often at the expense of those pushed to the margins, de-humanized and made to be no-bodies, the satas y sobrajas.10 While Soliván calls for the personalization of the Spirit he does not offer any new images or metaphors. The wild child of las evangélicas Latinas, however, invites the imagination forward to consider a Spirit “who opens up the arms of God’s ekstatic love to us, and makes our hearts soar” (19). Images are multivalent and there is no generic wild child. Depending on context, wild child also suggests shadow sides en nuestra vida cotidiana. It may connote one willing to engage in reckless behavior that can lead to destruction of self and others. The “cool” celebrated by Iggy Pop can also be a factor, as noted by Conde-Frazier, “that elevates the acquisition of things and being entertained to the highest good” (31). Falling in love with Chesney’s untamable “rebel soul” puts the lover’s heart at risk to be broken, after all attraction to a spirit of abandon may indeed result in abandonment by a beloved who moves on easily from commitment. La chica salvaje, the unknowing recipient of Torres’ unrequited love, lives her own life, paying attention to none, including “los muchachos del barrio” who shout adios when they see her in the street. Her desire to be free as the wind may also be a response to what Conde-Frazier calls “a machismo that kills our women and maims our men’s humanity” (31). The source of Lupe Fiasco’s wild child feeling is ambiguous, as is the contradiction between the rest he seeks as opposed to the restlessness more typically associated with the term. The authors are not naïve in their use of wild child, and they clarify that in the wake of her danza she never leaves “destruction, death, exclusion, oppression, dehumanization, loss, and invisibility” (27). Situating wild child within the context of dance concretizes the Spirit, evoking a freedom of movement with resonance to Torres’ chica salvaje: “Ella baila bachata como no lo hace nadie / Moviendo su cadera con los brazos en el aire [She dances bachata like no other / Moving her hips with arms in the air].” In their book, the authors reference, in passing, specific Latin dances, salsa (14), bachata (14, 18, 28), merengue (30), danza (20, 27). For example Maldonado Pérez describes her prayerful experience of daily evening worship with Latina Pentecostals: “In the freedom of the Spirit, we felt God moving with and through our curvy bodies to the rhythm of the bongó. With and through us God swayed, merengue style” (30). Martell-Otero portrays the Spirit as the wild child “dance partner who swirls us in a bachata” (18, 28). Like wild child, there are no generic Latin dances. Each has a particular story to tell, distinctive moves, layers of hybridity, and often conveys a journey that began in the margins—rural, urban, in response to the trials and joys of life, among those who were made poor, vulnerable, enslaved, las sobrajas. Sometimes they are expressions of fiesta, other times of subversion and resistance, still others are commentaries on daily life. What might pneumatologies that take into account the particularities of the dance of the dancing wild child look like? What might pneumatologies that sense the different rhythms of particular dances, and step off on different beats feel like? How might the Spirit be embodied if a sanitized foxtrot devoid of its African American roots was not the norm, and a Latin beat only the sazón? What transformation might the Spirit enact if we were to recognize her among the dancers at Latin Night in Orlando’s Pulse nightclub? In metaphors of dance there are possibilities for comprehending the incarnational dimension of the Spirit in her praxis of accompaniment. In its evangelistic thrust it tended to counter any cultural element it deemed sinful or “papist” in nature. Thus gambling, drinking, and of course, dancing were all deemed sinful. Having godchildren was a “Catholic” practice and therefore not to be encouraged. Fiestas patronales (patron saint feasts) were of the devil and to be avoided at all costs. Quietude and decorum were the watchword of the day. Protestant services were marked by piano or organ music, its strains foreign to the Afro-Caribbean beats familiar to the island. There was to be no shouting, no yelling, and no excessive demonstration of emotions. Women dressed in modest fashion, men in suits, or at the very least, in stylish guayaberas. Such practices were transported along with the Puerto Rican diaspora and continued among the state-side Latinx Protestant communities that worshipped together. I still remember bringing a childhood friend to a church service, and afterwards she turned to me and asked why people kept saying “tsk” during prayers. I had to explain that people were saying “amen,” so quietly that it sounded like “tsk” to the listening ear. All this changed with the charismatic movements of the 1960s and 1970s. While US church history may refer to the Great Awakening of the eighteenth century and invoke such renowned names as Charles Finley and Jonathan Edwards, for the Puerto Rican community in particular and Latinx community of historical Protestant churches in general, the “great awakening” was the neo-Pentecostal movement of the twentieth century.1 This movement was part of the larger Renewal and Charismatic movements that can be traced to multiple sources including the Notre Dame conference of the 1960s, that then spread to other historical/mainline churches.2 The movement had important effects for Puerto Rican and Latinx churches, particularly for those on the island. The primary one was that it initiated a cultural awakening. This movement, which was and continues to be a pneumatological movement, led to a reawakening of appreciation of indigenous expressions of worship. Drums, tambourines, guitars became an integral part of worship. Rather than only singing hymns written by European and North American authors (some who had been slave holders! ), suddenly church members, particularly young people like Raul Burgos—and others from a movement called “los Catacumbas” (the Catacombs, because they met in stairwells and back alleys)—were composing songs out of their own cultural traditions. Autochthonous groups such as 33DC became popular. Coritos (short refrains) became, in a sense, an integral part of our oral traditions—it was how we shared Scripture, but also how we passed on our stories. Joyful expressions became part of worship. “Gloria Dios,” and “aleluya,” instead of the whispered “tsk” became the norm. Worship became a truly embodied experience. And yes, people danced: in the Spirit, with the Spirit, in a joyous celebration that God was with them in the midst of their pains and in the midst of triumphs. Dance, a traditional indigenous and African expression of worship to the gods that had been banned by US American missioners, had returned. So that even people like me, with no rhythm because we had been robbed of our dance, could lift up our arms before God. We discovered that we were not “no-thing,” not “no-body,” not sobrajas (leftovers), but wonderfully made. We swayed, we moved, we wept, we laughed, and we thanked God for the ability to do so. That moving of the Spirit, that “Great Awakening,” led to other awakenings. It led us to ask the question: “Of what else have we been robbed?” We began to rediscover the riches of our cultural inheritance long deemed “demonic” and we engaged in what today is being called “anticolonial” analysis. Our hermeneutic of suspicion did not begin in the academy, or philosophy, as many presume. The academic tools came after, to help us better articulate our suspicions. The analysis, the new vision began with the blowing of the Spirit. It was the Spirit that broke cultural and intellectual chains. It was the Wild Child that blew and provided “freedom of movement” so that we could dance, explore, question, learn, and see things in new ways, with new frameworks.3 It was a movement that provided us with agency, and with a voice. We spoke in new tongues.